Quiet dilapidated dock and smooth water at twilight. Quiet dilapidated dock and smooth water at twilight. 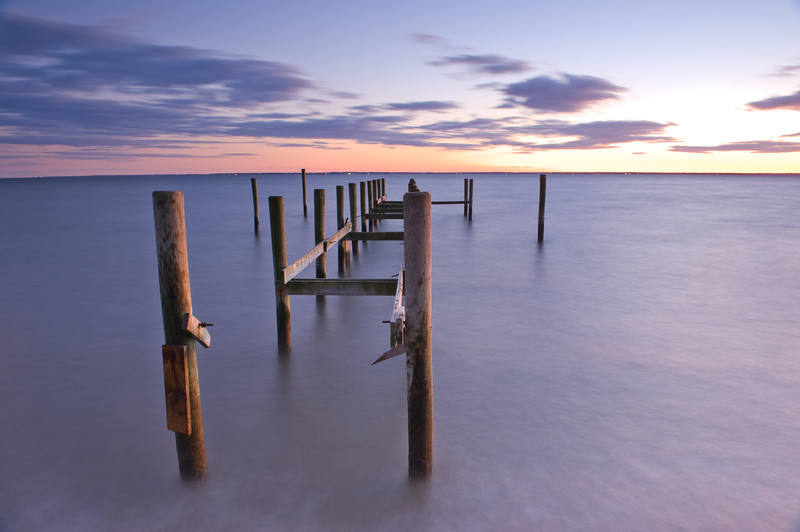 St. Mary's County, Maryland.